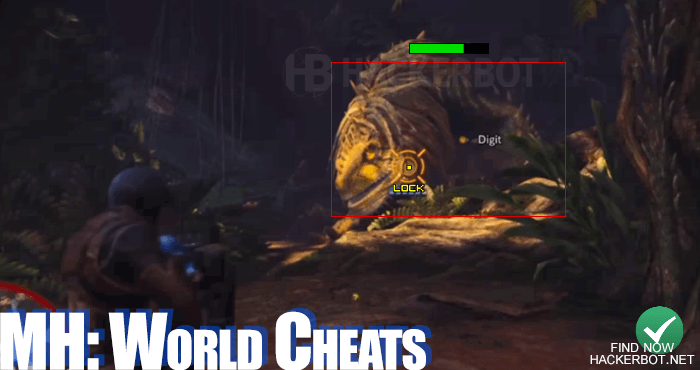 Is it possible to cheat in Monster Hunter World? Yes it is possible to cheat. 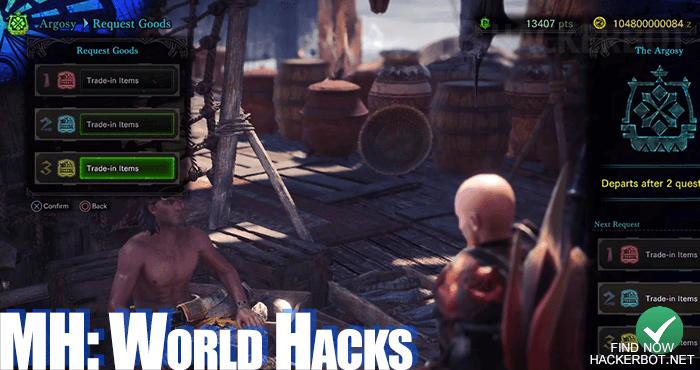 Since MHW is a co-op multiplayer and singleplayer game, which mainly uses peer to peer hosting for its coop, it is possible to get all kinds of Monster Hunter World Hacks going, such as unlimited money / zeni, unlimited health (god mode), all skills, unlimited monster parts, crafting materials, weapon and gear unlocking ect. The possibilities of hacks and savegame editing is nearly endless, however, you need a hacked console or computer / memory editor to actually achieve these cheats. The use of hacks, memory editing, generators and savegame editors is different on every platform: On PC hacking MHW will be easiest, it will be harder on the PS4 and Xbox One consoles, because they are not able to run memory editing software and other game hacking apps by default. As long as you are using a single player session or are hosting the multiplayer co-op session, you are able to hack your money, health, items, crafting materials, available and equipped weapons, upgrades, ammo and a lot more. Even invisibility hacks, god modes, teleporting and damage hacks are possible, because even though Monster Hunter World has certain multiplayer components, it is not a full MMO game that uses servers to store your game progress and player stats, making the game relatively easily hackable and very interesting for cheaters. No dedicated servers are used to host coop games with up to 4 players, meaning that everything is peer to peer. So whoever is hosting a coop lobby, is able to enable all kinds of cheats, if the correct software is running on their console / computer with the required root access to modify game memory. The way to make sure that a certain person is the host of a MHW session, is simply for that person to create the session and invite the other players. This way the initiator will be the host and all the player data, such as the health of all players, items, money, skills, stamina, health of enemies ect will be stored on the host platform, where it can then be edited to make farming easier for everyone that joins the multiplayer session. This is ideal for farming high level gear, zeni and all kinds of other stuff. 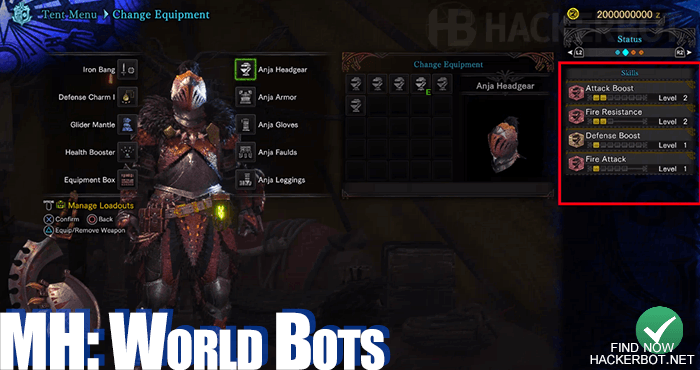 Bots are generally able to do two different categories of actions that can be useful for progressing through MHW: They are able to play the game for you, and they are able to react to the environment and take combat actions for you. Scripts are usually used to avoid death, by automatically dodging, auto using items, auto healing, auto disconnecting from the host ect. Also used to maximize DPS by performing weapon combos for you automatically at the right time, resulting in a powerful Monster Hunter World cheat indeed. Especially auto gathering will help you get money and craft the best gear in the game more quickly. Bots are mostly used to do simple stuff, such as gathering plants, mining, gathering low level monster components, carve monsters automatically, auto looting ect. The biggest plus here is that they can automatically farm zeni (money) for you over time for those that don’t have a console / pc that can run root privilege hacks. Visual mods, modified servers, custom monsters ect are possible, even though official modding support from Camcon has sadly not been pushed, however for now the only platform that could allow for this kind of stuff is PC. Mods can not only be used to add more armor, items and monsters to the game, but would also allow for more cheats and super powers and even private servers with their own rules that other players with the same mods could join. Only the future will tell if people will manage and how they will manage to mod MT Framework games. But mods are definitively a very good avenue for Monster Hunter World Hacks as well. While possible to achieve, Monster Hunter: World is not really lend itself perfectly to the use of aimbots or wallhacks. – These kinds of cheats are usually used in competitive PvP games and much less in cooperative PvE games, simply because they are not necessary. On top of that the only weapons that would really be ideal for this kind of hack would be the bowgun, bow and heavy bowgun. Auto aiming on melee weapons is possible, but not especially useful. 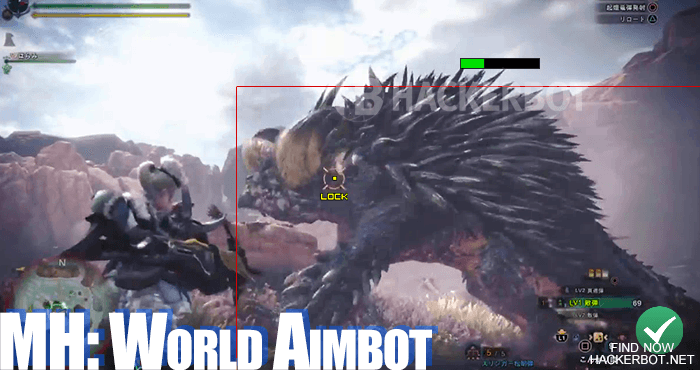 So while they are possible and we may even see some downloads crop up here and there, the aimbot and wallhack will not be your primary go-to hack for Monster Hunter World.